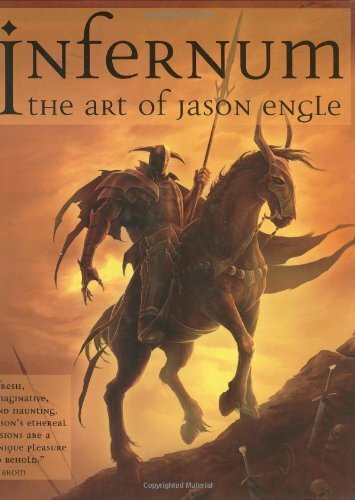 In this book contains more than a decade of work from Jason Engle. And he's only born in 1979, so you can guess how early he started in the art industry. The book contains work from illustrations he has done so far for books, card games, magazines, computer games and other personal projects. He work delves on the fantasy realm. Most of the pieces are captioned to explain the concept behind. He has included many interesting stories in the book as well. Such as how he got started because of work he posted on Internet forums, and the hectic days where he went without bath for days just to finish his art on time. At the end he talks about his inspiration and style. It's a great book his fans should find no problems liking.